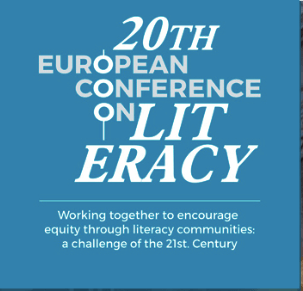 Next week the 20th European Conference on Literacy starts in Madrid. We are very proud of this. I’m involved in the organizing committee and one of the highlighted rapporteurs, leading round table discussion on digital literacies. I also have a workshop on this topic. Since the European associations organized all these conferences we decided at our last meeting to write a 2 page report about the history of each of these associations. If you are interested in our history, you can read the historical overviews here. We are interested in your comments. We will also make a beautiful poster out of this. I will share this with you in this post very soon.